One of the challenges of remaining fit when it’s difficult to stand or be active is being safe. You know you need to exercise to stay healthy, but you can’t do it if the risk of a fall is too threatening. Fortunately, aquatic therapy solves this problem. Aquatic therapy is the practice of exercising in a pool of water. The natural buoyancy of the water helps you balance and can cushion you if you fall. This allows you to get in some exercise and reduce the risk of harm from falling. Unlike aquatic aerobics, aquatic therapy is led by a healthcare professional like a physical therapist. At Peak Performance Sports and Physical Therapy, our trained aquatic therapy specialists can guide you through the exercises and stretches that are best for your condition. A stronger core allows you to be able to accomplish more with less pain. As your core develops, you may find yourself extending fitness into other areas of your life outside of the pool. Planks — While holding a pool noodle or some other flotation device straight in front of you with both arms, you’ll lean downward and hold that position against the resistance for a few seconds. One leg stand — Standing on one leg for about 30 seconds forces your core to engage for balance. You may do this a couple times on each leg during a session. Swiss ball sit — Sitting on a floating ball can force your core muscles to engage as you try to balance and keep the ball beneath you. 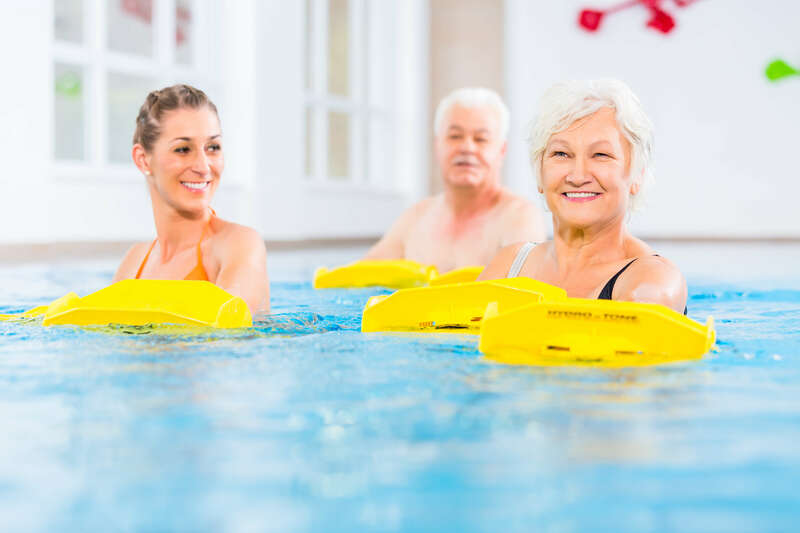 If you want to improve your health and fitness but are unable to on dry land, you should talk to one of our team members about aquatic therapy. Contact our team today for more information or to schedule an initial appointment.